Happy Monday Everyone! Hope you had a fantastic week. I had a great time in Texas helping my mother-in-law celebrate her 80th birthday. Today I'm excited to have Christina Farley here to help celebrate the release of BRAZEN, her final book in her YA multicultural fantasy series. This is a fantastic post that I hope you'll enjoy. Sworn to an ancient god of darkness, Jae Hwa fights to gain her freedom and restore the balance of Korea… but first she must gain back the trust of her loved ones. With the Gilded series, I wrote about Korean mythology and set my story in South Korea, North Korea, and China. I knew that most of my readers would be teens living in North America. How do I make my North American readers who have grown up with European myths and fairy tales be able to identify with myths and creatures that they have never heard before? · Used Familiar Settings: I decided to set the story at an international school where 50% of the population was American and the other 50% was from students around the world. International schools are run very much like American schools so I knew my readers would find that familiar and would ground them. Plus I was teaching at this one so I knew this setting inside and out! · Used Familiar Emotions: The protagonist in my story is Jae Hwa Lee. I honed in on her emotions of wanting to fit in and searching for her identity to connect my readers to her. Many teens today deal with these issues and can relate to Jae’s emotions and frustrations. · Used Familiar Traits: When developing the mythological creatures in my story, I gave each one human traits. One example is the Haechi who is perhaps my favorite character. In the legends, he’s the protector of Seoul, resembling a lion with dragon-like scales and horns. But I didn’t want him to be just a random protector. I wanted my readers to fall in love with this creature. So not only did I make him wise and strong like the legends, but I also sprinkled a little dry sense of humor and impatience, which are human traits. have been built using known civilizations. For the Gilded series, I used the ancient Korean culture from the Silla Dynasty to craft its fantasy elements. The architecture, dress, food, weaponry, landscape, everything in my fantasy world was historically accurate and pulled from that time period. I spent countless hours visiting museums, ancient palaces, and temples for my research. Lucky for me, I lived in Korea for eight years and was able to hit the subway to reach my destination whenever I needed it. I strongly recommend for all writers, especially fantasy writers, to keep a bible that denotes your world’s rules and all the details for these rules. This way, once you have made a rule, you’re able to keep track of what you’ve created since it’s critical you stick to that rule. Nothing will lose an author’s credibility faster than if they don’t follow their own rules. For more tips on writing fantasy, I’ve teamed up with some other authors who share their tips on writing fantasy. You can watch the video here. Remember that only YOU can write YOUR world so remember to pour all that is unique and special about you into your story. Wishing you all the best as you write your fantasy novel! For more tips on writing, visit my website here. 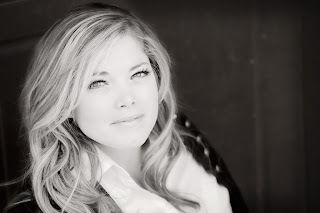 CHRISTINA FARLEY is the author of the Gilded series, a YA contemporary fantasy series set in Korea, and the upcoming MG, PRINCESS & THE PAGE, a contemporary fantasy set in France. 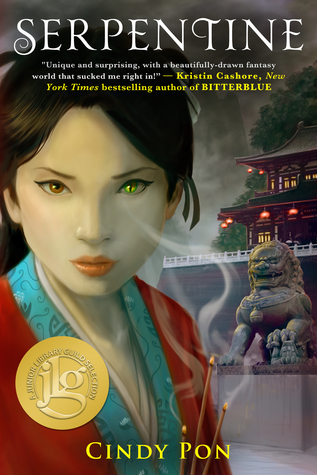 GILDED was nominated for Korea’s 2014 Morning Calm, Ohio’s 2015 Buckeye award, and Tomes It List. As a child, she loved to explore, which later inspired her to jump on a plane and travel the world. 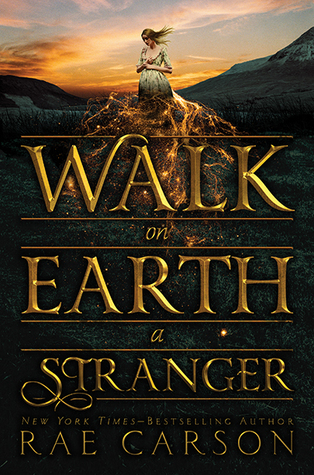 Christina's adventures sparked her to write stories, infusing the real world with fantasy. Currently she writes from home in Clermont, FL with her husband and two sons—that is until the travel itch whisks her off to a new unknown. Christina has generously offered a copy of the entire Gilded series to one winner. To enter, all you need to do is be a follower (just click the follow button if you’re not a follower) and leave a comment through November 7th. If your e-mail is not on your Google Profile, you must leave it in the comments to enter either contest. On Monday I have an interview with Laura Resau and a giveaway of her MG multicultural THE LIGHTENING QUEEN. The Monday after that I'll have a guest post by debut author Ryan Dalton and a giveaway of his YA science fiction mystery THE YEAR OF LIGHTENING. Happy Monday Everyone! Hope you're having a good read. I'm just getting back from a trip to Dallas to celebrate my mother-in-law's 80th birthday. So if I'm a bit late today in visiting your blog, that's why. Today I'm excited to have a guest post by Gayle Rosengren and a giveaway of her MG historical COLD WAR ON MAPLEWOOD STREET about the Cold War, which seems really timely with what's going on in the world. There is a reason behind every book that’s written. For example, my first book, What the Moon Said, was essentially a love letter to my mother and grandmother, whose real-life stories were its inspiration. At the same time, it was a story providing readers with a peek into the past from the perspective of a child of immigrants who brought Old Country superstitions to their new home. My second book, Cold War on Maplewood Street, was written for very different reasons—to make sure a significant event in history isn’t forgotten. Many adults ages 58 and younger don’t seem to know much about it. The 60-and-overs are the ones who nod when I make a reference to the Cuban Missile Crisis. Then they quickly offer up some memory, the description of which nearly always contains references to fear. I think the only people who weren’t afraid during that long week were simply lacking sufficient imagination to visualize what the rest of us could imagine all too well. But perhaps that’s an unfair judgment. Perhaps they were just much braver—or more fatalistic—than the rest of us. I was twelve. Not quite a kid anymore but far from being an adult. Up to then I had, with the customary complacence of childhood, assumed that my family would always keep me safe. That warm and fuzzy cocoon was about to be shredded. Soviet Union and the United States that began at the end of World War II. The two countries talked about each other more than they talked to each other. Capitalism versus Communism was the battle they waged, generally in small unstable countries ripe for revolution—with each Superpower backing a side, supplying it with weapons, hoping at the end of the fight they would gain grateful new followers. Cuba was one such country. In fact, only ninety miles off the coast of Florida, it was of utmost interest to both the Soviets and the United States. When President Kennedy addressed the country on the evening of October 22, 1962, to announce that the Soviets were secretly setting up nuclear missile launchers in Cuba, you could almost hear the collective gasp of people around the world. Kennedy demanded that the weapons be removed immediately. Or else. Our warships were already speeding to the region to surround the island so no more weapons could be delivered. All Soviet ships would be boarded and searched before being allowed to pass. If ships refused to stop, they would be fired on and sunk. Thus began the week when we were closer to nuclear war than at any other time before or since. I remember feeling as if everyone was tiptoeing through the days that followed, holding their breath, always wondering if air raid sirens were about to go off. The nuclear war we feared did not occur. As a result, it seems that everyone feels free to simply forget this event ever happened. But I think that’s all the more reason to remember it. We need to ask ourselves why? Why didn’t the war take place? The answer is simple but vitally important to remember, so it might guide us in the future. The two leaders, Kennedy and Khrushchev, negotiated. They used words instead of weapons. Kennedy agreed to remove our nuclear launchers in Turkey in exchange for the Soviets doing the same in Cuba. This had been the Soviets’ goal all along. The concession by Kennedy was kept secret and the truth only emerged years later. This doesn’t mean that the Soviets weren’t prepared to start a nuclear war. They were. In fact, it was later learned that a Soviet submarine armed with nuclear missiles had been submerged in the waters off our east coast. When U.S. forces wrongly identified it as an unarmed vessel, they fired depth charges around it to force it to the surface. Two of the commanders on board the submarine wanted to fire their missiles. Fortunately, a third officer refused, and since all three of them had to be in agreement in order to take such a drastic action, they did not attack. Think of it: One man’s refusal was all that prevented a nuclear war from starting. Yet most people who have heard of the Missile Crisis think of it as a kind of false alarm. Insignificant. Because the war didn’t happen. Cold War on Maplewood Street emphasizes the power of words and the importance of good communication. Its twelve-year-old protagonist, Joanna, discovers this truth in the days that follow President Kennedy’s announcement. She recognizes it in her own life, where she’s been punishing her adored older brother Sam by not writing to him because he left home to join the Navy. Now she may never see him again! And she also witnesses the importance of communication in the interactions of her best friend Pamela Waterman’s family. Mrs. Waterman doesn’t speak up, and the results are devastating. Most fears are manageable. But some can be overwhelming. Today, with our kindergarteners practicing lockdown drills in schools—huddling in storage rooms with their teacher and classmates, hiding from possible intruders bearing automatic weapons—I think it’s more important than ever to make sure our children know it’s okay to feel fear, and that talking about it with a trusted adult will help. That is the reason I wrote Cold War on Maplewood Street. To share this two- pronged message with readers: that communication is key to every good relationship, and that it’s okay to be afraid; it’s how you deal with it that counts. During my school visits, I tell students to speak up when they’re very troubled or afraid. And if no one seems to be listening, I tell them to speak louder. As the grown-ups in their lives, let’s be ready to listen. 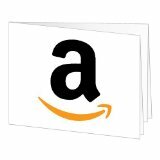 Gayle's publisher, Penguin Random House, generously offered a copy of COLD WAR ON MAPLEWOOD STREET for a giveaway. To enter, all you need to do is be a follower (just click the follow button if you’re not a follower) and leave a comment through October 31st. If your e-mail is not on your Google Profile, you must leave it in the comments to enter either contest. 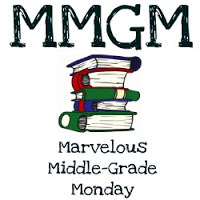 Marvelous Middle Grade Mondays was started by Shannon Messenger and you can find the other middle grade bloggers today on her blog. Next Monday I have a guest post by Christina Farley and a giveaway of her new YA BRAZEN and the other two books in her series. 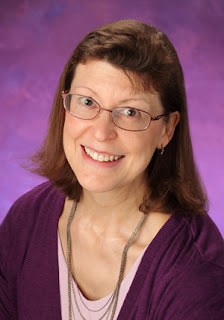 The following Monday I have an interview with Laura Resau and a giveaway of her MG multicultural THE LIGHTENING QUEEN. Happy Wednesday Everyone! Hope you're having a great week. 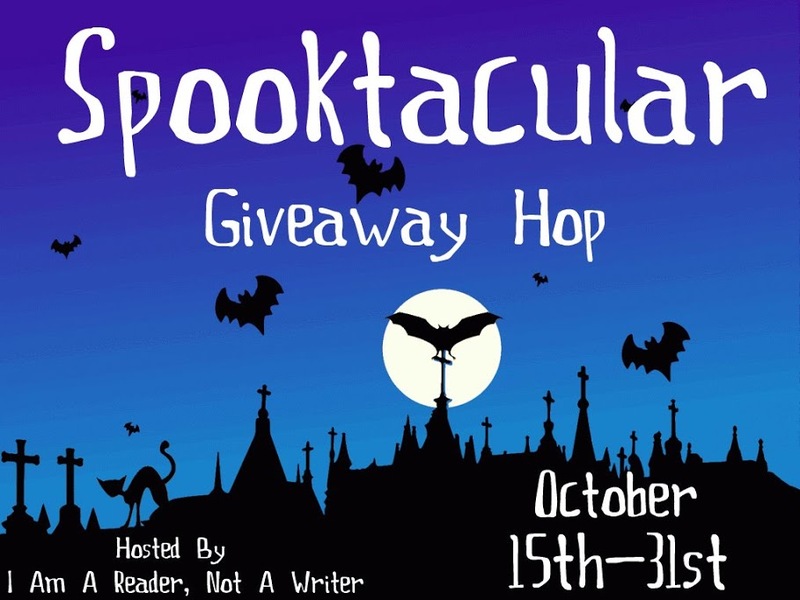 Today I’m thrilled to be part of the Spooktacular Giveaway Hop sponsored by I Am A Reader, Not A Writer. I always love this giveaway hop. I’ve got lots of newly released YA books that I've read or want to read. There are SO many good ones right now. Several I just reserved at the library. And if you’re reading a different book in the series listed or want a different book by one of the authors listed, I’m glad to get you that book instead as long as it doesn't cost more than the book I've chosen. To enter, all you need to do is be a follower (just click the follow button if you’re not a follower) and leave a comment through October 31st telling me the book you want to win or if you want to win the Gift Card instead. I’ll announce the winner on July 20th. If your e-mail is not on your Google Profile, you must leave it in the comments. On Monday I have a guest post by Gayle Rosengren and a giveaway of her middle grade historical COLD WAR ON MAPLEWOOD STREET. I may be a little late getting to your blog because I'll be coming home from a trip that day. 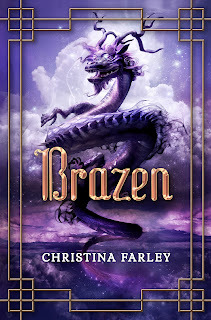 The following Monday I have a guest post by Christina Farley and a giveaway of her new YA BRAZEN and the other two books in her series. Happy Monday Everyone! Today I'm excited to have debut author Carol Riggs here to share about her dystopian, science fiction YA THE BODY INSTITUTE. It sounds fantastic! who have trouble separating themselves from their creative projects. The good news is, we can learn to persevere, have thicker skin, and become more objective about our work. 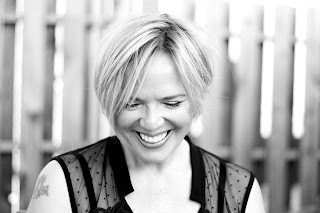 My writing journey has been a long—and probably typical—one. I wrote 13 novels before my agent signed with me in 2011 for THE BODY INSTITUTE. I had submitted manuscripts for over 7 years. Little did I know, finding an agent was just the beginning of my long haul. I completed at least two major revisions for my agent, and three years later (along with more revisions), we finally signed with a publisher, Strange Chemistry of Angry Robot Books in the UK. Woo-hoo! I had it made, right? Nope. Five months before the book’s release, Strange Chemistry sadly went out of business. I skidded back to square one, which was agonizing, to say the least. Deep breath…my agent and I forged onward. Luckily, within 2 months of submitting again, Entangled Teen picked up my book. They are a forward-thinking smaller press, and I’m delighted to be working with them. Stacy Abrams, my editor, is top-notch and previously worked for Bloomsbury/Walker. 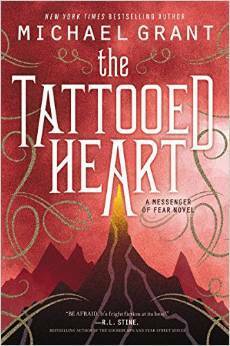 The novel released September 2015, four long years after I signed with my agent. villain/antagonist. My agent also suggested I change the POV from third person to first—and I’d never written in first person before. Whoa. I completed another revision on spec for one editor, based on her suggestions to make the main character more likable and to streamline the worldbuilding, but that ended up as a rejection during acquisitions. 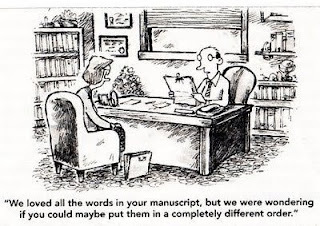 I’m still happy I did it, because I ended up with a stronger manuscript. Over the course of a year, I changed so many things, I started thinking, man, is there anything these people LIKE about the novel? I could relate to the cartoon below. But you can’t take the feedback personally. If you trust your agent and your editor, you realize they have your book’s best interest in mind and they know what’s marketable. So it’s easier to let go of your own vision on things that don’t matter so much. Even after Entangled Teen accepted the manuscript, I had to learn to be objective. One favorite scene, a entire character, and many “darlings” got axed in the process. Have your own private funeral, and move on. You’ll end up with a published book to share with the world! Maybe your writing journey will be quick and easy. You may snag an agent in your first round of queries, shape up your manuscript with minimal revision, and sign a contract with a Big Name Publisher the following week. Hey, it happens. But for the rest of us…keep pressing onward, and NEVER GIVE UP! Carol generously offered a copy of THE BODY INSTITUTE for a giveaway. To enter, all you need to do is be a follower (just click the follow button if you’re not a follower) and leave a comment through October 24th. If your e-mail is not on your Google Profile, you must leave it in the comments to enter either contest. On Wednesday I'll be participating in the Spooktacular Book Giveaway Hop. 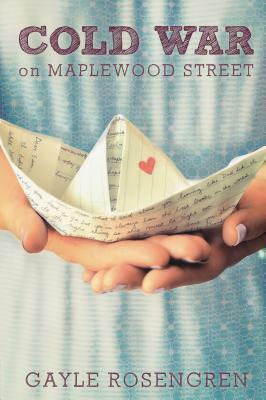 Next Monday I have a guest post by Gayle Rosengren and a giveaway of her middle grade historical COLD WAR ON MAPLEWOOD STREET. I may be a little late getting to your blog because I'll be coming home from a trip that day. Happy Wednesday Everyone! I have a treat for you. Debut author Kim Liggett and her agent Josh Adams have a guest post where they interview each other to help celebrate Kim's debut YA sinister romance BLOOD AND SALT. It sounds really mysterious and a great read for this time of year. Now here's Kim and Josh! You're a fancy Columbia business school graduate. What drew you to publishing? My wife, Tracey, drew me to children’s/YA publishing. I actually started out my career in magazine publishing before going to business school and then consulting on marketing and brand strategy for companies all around the world. Despite how interesting my work was, it was always Tracey’s work as a literary agent that fascinated me the most, and all my experience came together when I was able to help her launch Adams Literary in 2004. It remains the most professionally rewarding thing either one of us has done, and all the better that we get to do it together. You have an eclectic list-- horror, fantasy, sci-fi, literary. I love that you're such a risk taker. Is there a common thread in the writing you like to represent or is it more of a 'I know it when I see it' kind of thing? work. 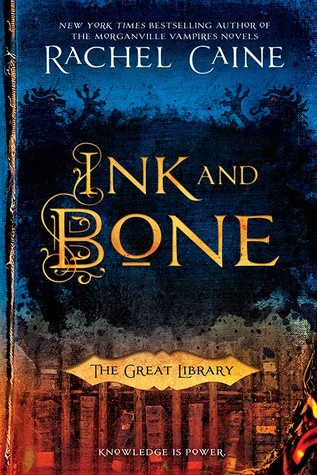 I am always looking for something new and different than what I’ve read before, even if it’s within the same genre. There’s nothing more exciting than discovering an author—and a novel—that has a fresh twist, or that completely turns a reader’s expectations on their head. are to ours, yet who—like us—doesn’t take themselves too seriously. When deciding to take on a new author, we look first for talent, then for fit. Talent alone isn’t enough; I need to know that I have a clear vision for what the author hopes to achieve with his or her career, and really feel that we can work together well as a team over the course of that career. Adams Literary is a family run boutique agency. What do you feel are some of the advantages/disadvantages with this business model? From an author’s perspective, I think there are only advantages to working with a boutique agency such as Adams Literary. We are able to provide our authors with a more personal, tailored and streamlined approach to their needs, and there’s really nothing that we can’t match or surpass compared to a large agency. From a personal perspective, it can be hard to find the “off” switch. Where do you see the agency in five years? I wish I had a crystal ball! Seriously, though, I don’t see much changing in terms of our strategy or approach. We are very fortunate to work with some extremely talented authors and artists, and I truly believe that some of their—and our—best work is yet to come. Is there anything on your wish list that you're dying to find right now? I am always on the lookout for mind-blowing, life-changing books. I don’t typically like to give specifics, because I worry that it will discourage authors whose type of work I don’t mention, and as you suggested before, it really is an “I’ll know it when I see it” type of thing. Because it’s you asking, I’ll say that I’ve always longed for a really cool samurai book, and I’m still searching…. I was so incredibly intrigued by your pitch—Romeo and Juliet meets Children of the Corn— and then fell in love at the very first line. Tell me about your inspiration for BLOOD AND SALT. This was the perfect storm of two influences merging together. I started writing BLOOD AND SALT as a love letter to my daughter. She had her first crushing love and I wanted to show her how strong, interesting and amazing I thought she was. I combined this with my love of the history of the place I grew up, a tiny town in Kansas. I only intended on writing a few chapters, but I just couldn’t stop. You certainly had an interesting and successful life before deciding to become an author. What made you take this chance? I really didn’t feel like I had a choice. I was completely obsessed. I learned how to write so I could tell this story. I remember sitting my kids down and telling them that I was going to sell my business and become a writer. I told them we’d be eating a lot of pasta and there was no guarantee of success. They both shrugged and told me to go for it. Sometimes you have to take a leap of faith. So, you’re pretty normal. How do you come up with such dark, dramatic subject matter? I think I’m just secretly creepy. Even when I try to write something sunny, someone always ends up in a body bag. I’m dyslexic, so they let me read anything I wanted when I was a kid—anything to get me to finish a book. I was drawn to Stephen King, VC Andrews and romance novels. A style was born! Given all the choices out there today, how did you approach your agent search? What were the most important factors in your decision, and what made you say “Yes” to me and Adams Literary? I felt like I needed a boutique agency. I wanted to find a home where I could grow as an author and work closely with an agent who would help me carve out a career path. Long term planning was a big deal for me. You were really passionate about my writing. I had a weird book that didn’t quite fit into any one genre and I knew I needed a fierce advocate to find the right editor and publishing house. You’ve seen many friends do it, and now you’ve gone through the process of querying, getting an agent, getting a deal and having your first book published. What has been the best part, and what advice would you give to aspiring authors? The best part of this whole journey is the writing friends I’ve made along the way. Get involved in the writing community. Join debut groups. Go to conferences. Interact with other writers on social media. It might feel weird at first, but those friends you come up with will be your greatest reward. Kim has generously offered a copy of BLOOD AND SALT for a giveaway and Josh is offering a query critique. To enter, all you need to do is be a follower (just click the follow button if you’re not a follower) and leave a comment through October 17th. 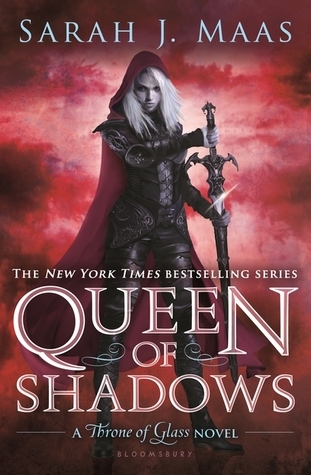 If you do not want to be included in the query critique giveaway, please let me know in the comments. If your e-mail is not on your Google Profile, you must leave it in the comments to enter either contest. 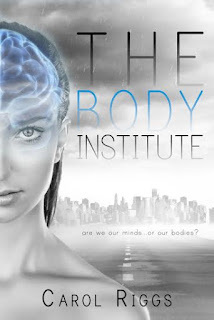 Next Monday I have a guest post by long-time follower and debut author Carol Riggs and a giveaway of her YA science fiction THE BODY INSTITUTE. 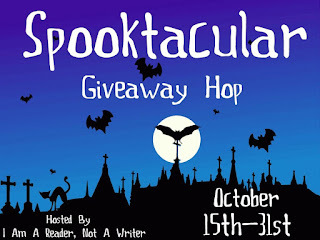 Next Wednesday I'll be participating in the Spooktacular Book Giveaway Hop. The following Monday I have a guest post by Gayle Rosengren and a giveaway of her middle grade historical COLD WAR ON MAPLEWOOD STREET. 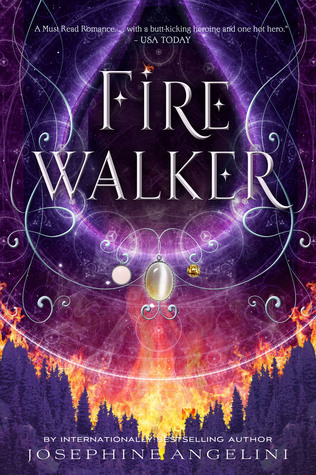 Today I’m thrilled to have debut author Jennifer Jenkins here to share about her YA fantasy NAMELESS that releases October 6, 2015. 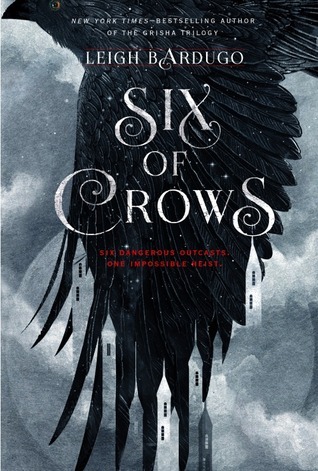 It sounds like a fantastic story with complex world building and a strong female protagonist. Progress Report: I still don’t really know what I’m doing, but with every word I put on the page, I see a little improvement. Perfection in writing is like the 3-D figure in a movie that appears to be only a few feet away, but no matter how hard you try, you’ll never capture the darn thing. 2. Well, you must be doing something right. Where did you get the idea for NAMELESS? Probably the biggest inspiration for NAMELESS came from my desire to write a love story with a gigantic wall of conflict separating the main characters—something difficult to overcome but with the potential to be deep and meaningful. 3. I love that type of romance. Your story is about a pretty complicated world with four clans. What was your world building process like and how developed, in your mind at least, were the four clans? Thanks for asking! I had a blast building the world of NAMELESS. The four clans featured in the book (the Wolf, the Ram, the Raven, and the Kodiak) were all inspired by some of my favorite cultures in history. I took a page from the brutal training methods of the Spartans, the ingenuity of the Navajo, the simple diplomacy of the Vikings, and the intimidation element of the Maori. This diverse mix of cultures was intended to form a hotbed of prejudice and clashing viewpoints. Writing in the world of NAMELESS is like eating dark chocolate while sitting on a freaky-awesome rollercoaster. Blissfully intense! 4. Awesome how you picked your clans. Zo sounds like a really complex character, especially her willingness to go on a suicide mission. Was she an easy character for you to develop or was some of her pain hard to write about? battling some pretty severe depression and anxiety came to live with me. 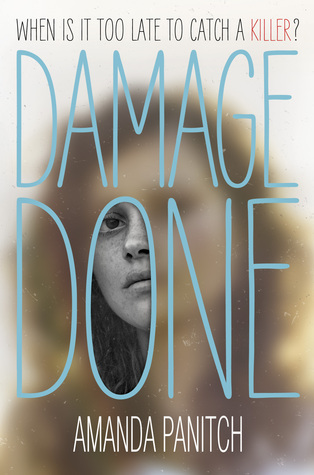 This girl’s struggle was so very dark, and real, it was as though Zo literally stepped into my life. In a way, writing Zo was my own kind of therapy. I needed to see this girl overcome impossible odds. I needed to see her fight back. She did just that, and I’m happy to report that she is living a very happy, healthy life. 5. Glad your family member got through this. 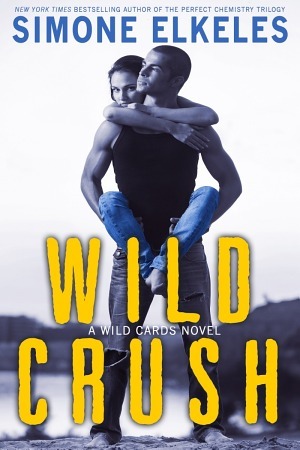 Your agent is Amy Jameson and your publisher is Month9Books. Share how you got your agent and why you chose a smaller press. 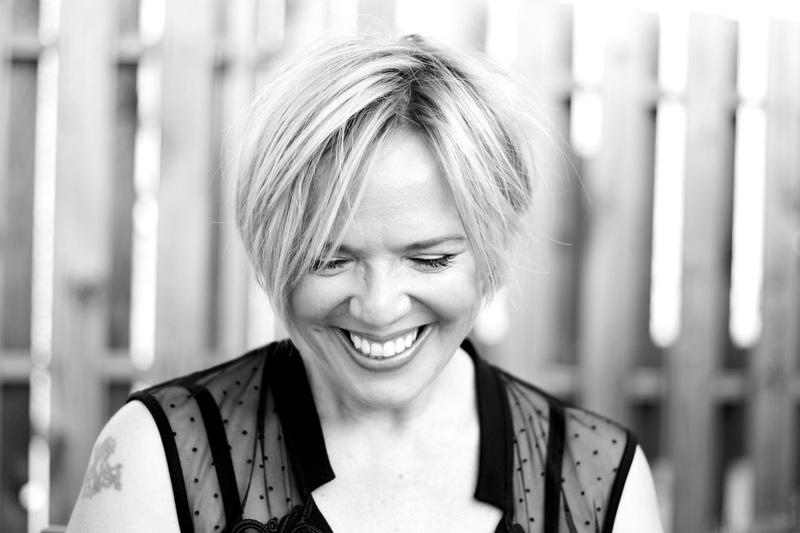 Amy Jameson is a rock star and has repped some big names in the publishing world. I found her because she worked with Shannon Hale and Jessica Day George (both awarding-winning, NYT bestsellers) and the project that I had at the time seemed to sit perfectly with other works she had represented. I queried her with fingers, toes, arms, legs, and eyes crossed, praying she might see something worthwhile in my writing. The rest is history. The day she called me to offer representation is one of the highlights of my career, thus far. My decision to publish with Month9Books was quite deliberate. I had a few other “bigger” fish on the line when I received my offer from M9B. 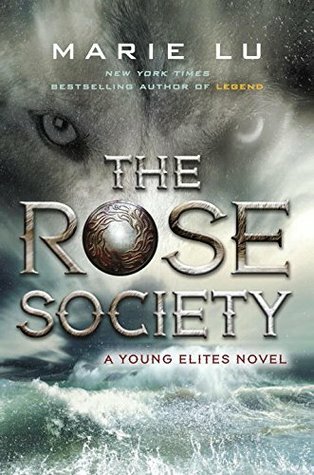 I had the opportunity to talk with another author who worked with Georgia McBride at Month9Books and was impressed by the personal attention their authors received. I was also impressed with their aggressive marketing and publicity plans for NAMELESS. These were things I knew I wouldn’t receive as a mid-list title with a larger publishing house. I’ve been thrilled with the decision. Month9Books is taking the world by storm right now, and I’m honored to be along for the ride. 6. I've been impressed with the books Georgia has bought so far. That's great this is a good fit for you. I read on your website that you were at BEA and ALA. How did you set those appearances up and what advice do you have for others who might want to appear at either of these events? I was fortunate enough to have Month9Books feature my book at both of these events, so they handled all of my appearances. (This is a glimpse into that marketing/promotion plan I alluded to in the previous question). Since the purpose of both BEA and ALA is to ignite interest among industry professionals (booksellers, bloggers, librarians, editors, agents, etc) and not necessarily the general public, I only recommend attending these two Cons if you have a publisher willing to feature your book. As for appearing at other big conventions and conferences, most have websites with information advertising panel submissions and signing opportunities. I personally will not pay to sell my work at a booth, but will happily make the trip if the conference or con includes me in their program and offers to sell my book. 7. That's great how your publisher helped you with the conferences. What are your post-release marketing plans? Do you have any advice on this for other debut authors? I have several events lined up just before and after the release. Once the dust settles, I’ll be doing a bit of traveling to promote the book as well as scheduling school and Skype visits with teachers and librarians. 8. You are also co-founder of Teen Author Boot Camp. It sounds fantastic from what I saw on your website. Tell us about it. Imagine nearly 1000 teen writers packed into one building with their favorite authors for a day! It really is like Christmas for both the authors who present as “Drill Sergeants” as well as the teens. Huge names such as James Dashner, Brandon Sanderson, Ally Condie, Kiersten White, and more come to Utah every Spring to workshop with teens, teaching classes on various writing subjects. You can learn more about presenting and attending the teen-only conference at http://teenauthorbootcamp.com. 9. Wow! Your workshop sounds fantastic. Almost makes me wish I could go back to my teen age years. What are you working on now? 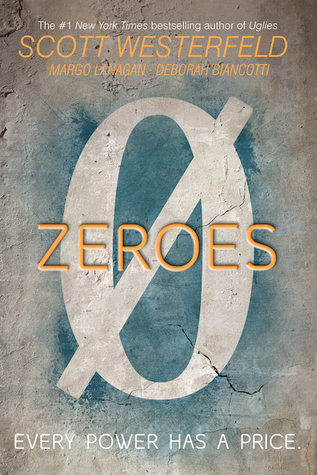 Right now I’m working on the third and final book in the NAMELESS series. I’m so happy with the way it’s all coming together and hope it will be a satisfying conclusion for my readers. 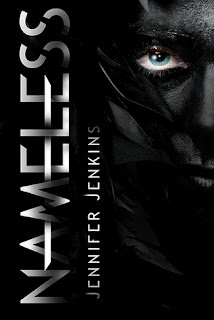 Jennifer has generously offered a copy of NAMELESS for a giveaway. To enter, all you need to do is be a follower (just click the follow button if you’re not a follower) and leave a comment through October 17th. If your e-mail is not on your Google Profile, you must leave it in the comments to enter either contest. 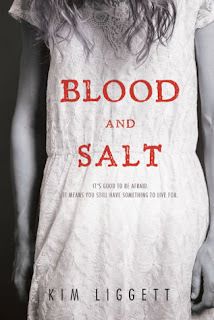 On Wednesday I have a guest post with debut author Kim Liggett and her agent Josh Adams with a query critique giveaway from Josh and a giveaway of Blood & Salt, Kim's YA fantasy.